Above, you'll find a picture of Jessie Irene White, granddaughter of James Whitney White (Hanover Woolen Mills) born in Hanover. Her birth certificate does not have her name on it but my sister was raised by her and her husband Robert Elmer Boyd (Mount Carroll Illinois) and we are positive that this is her real Birth Certificate. Jessie was one of three children of William James White (son of J.W. White) the other two are James Whitney White (named for his grandfather) and Jenny Marie White (my grandmother). When Jessie was a child, she lived for a time in the home of J.W. White and Harriet Fowler White in Hanover on "White Hill" with them. 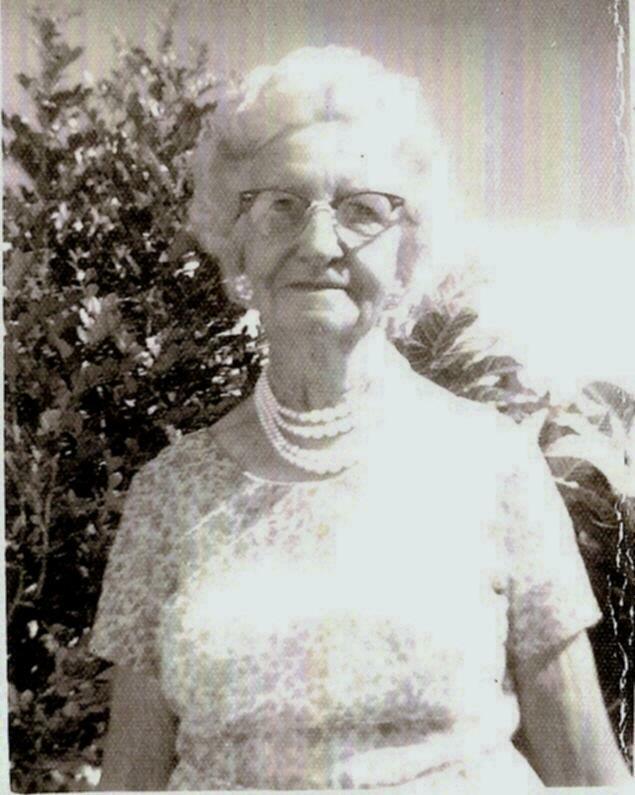 Her mother was Elizabeth Marshall Harper White. All were born in Hanover Illinois (except J.W. White: who was born in Amherst New Hampshire 1818). Thanks to Michael John Skoworn Jr., Las Vegas, Nevada, for this photo and information.